If you’re curious what a U.S. drawdown in Afghanistan looks like, search no farther than northern Helmand province. 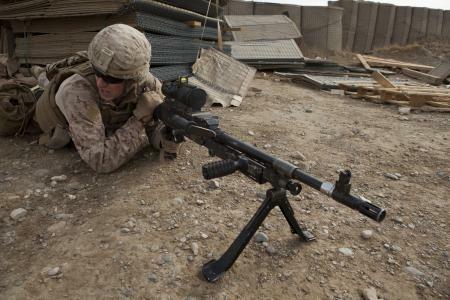 The region was once the site of massive fighting that killed dozens of Marines in Sangin district alone in fall 2010. Musa Qala, Kajaki and Now Zad districts also have seen their fair share of violence and casualties. Since spending a fair share of the fall in Helmand, the battalion in northern Helmand rotated. Second Battalion, 7th Marines, out of Twentynine Palms, Calif., replaced its sister unit, 1st Battalion, 7th Marines. Lt. Col. Donald Tomich discussed the battalion’s deployment with me recently, noting shifts in the way the Taliban conducts its business. The group is now more “Mafia-like,” he said, focusing on protecting its own existence and its drug smuggling. Tomich also outlined how his units are spread across northern Helmand, where multiple Marine infantry units were deployed as recently as last summer. His battalion has headquarters in Sangin, and is broadly laid out with Echo Company in Kajaki, Headquarters and Service and Golf companies in Sangin, and Fox Company split between Now Zad and Musa Qala. Tomich’s battalion deployed with about 800 Marines. That’s down from the 1,000-plus Marines 1/7 had in the region through early in the fall. This man in the photo, Jake Anderson, is my boyfriend!